We have added the ability for our customers to access additional Chek-Chart information via the eLube Software. 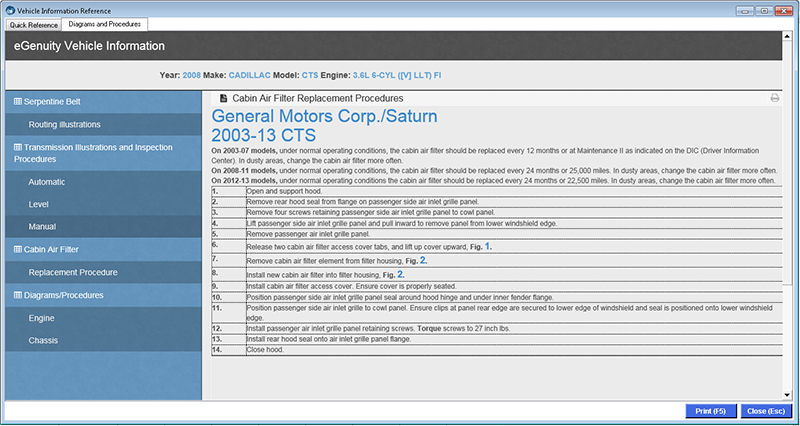 Cabin Air Filter Locations and Replacement Procedures. Serpentine Belt Routing Illustrations and Inspection Procedures. 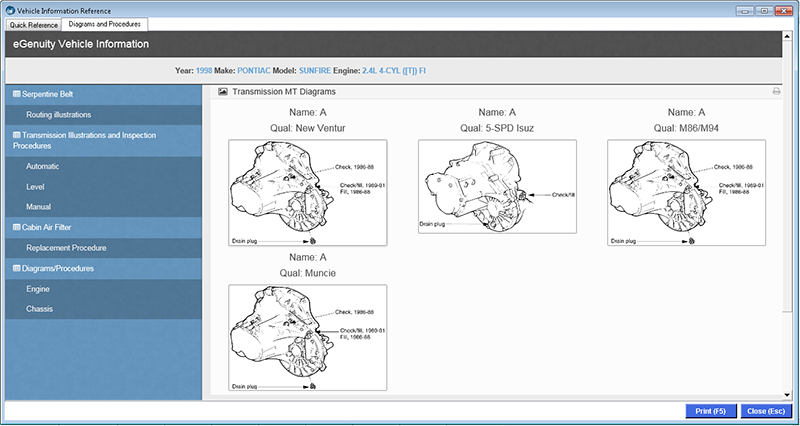 Transmission Illustrations and Inspection Procedures.